Bunyaki is a Japanese restaurant located in Victoria Island, Lagos. The restaurant has a fine setting for dinning and you can watch as your food is been prepared. Seeing the chef work out their magic preparing dishes is facinating. 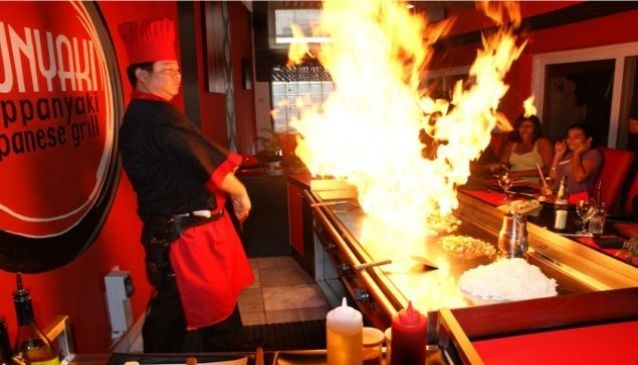 The Sushi and Teppan-yaki are their main specialty and they have professional chefs who prepare these dishes. Other delicacies on their menu that you can try out as well are: sashimi and tempura. Sometimes we have to go all out to try new dishes, so if you have never had a Japanese cuisine before now is the time to do so. Visit Bunyaki restaurant and get a first hand experience.